Dr. Johnson is a Board Certified Family Physician since 1995. He has been in Family Practice for over 20 years. Dr. Johnson started his career more than 30 years ago working as a Respiratory Therapist in a hospital. He attended The Southern College of Osteopathic Medicine, graduating and licensed as a Physician and Surgeon. He focused his career on Family Medicine to facilitate his belief on treating your body as a whole. He is dedicated to his patients and recognizes that spending time, listening and working with his patients aids to empower their overall health. 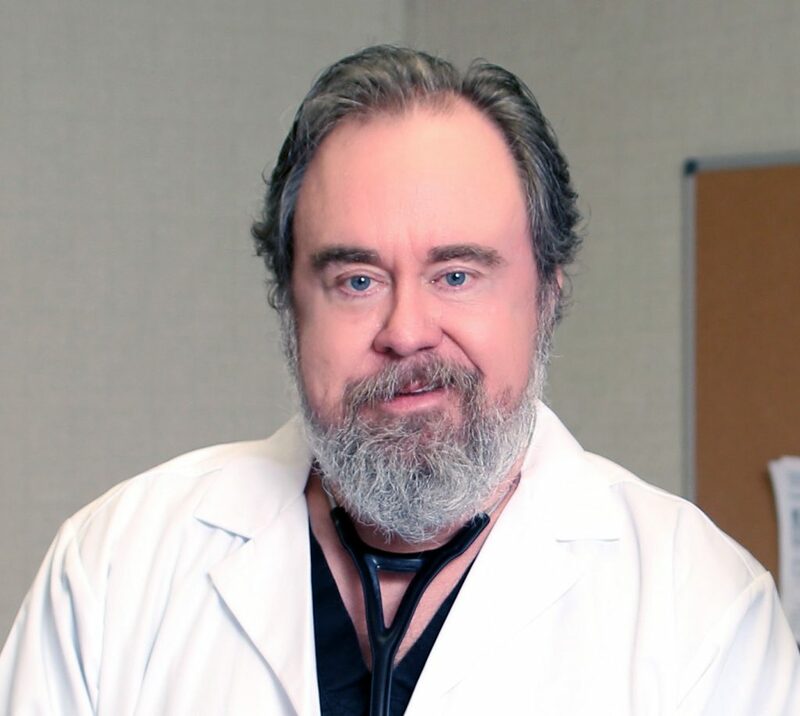 He is a diplomat of the American College of Osteopathic Medical Examiners and is certified by the American College of Osteopathic Family Practitioners. 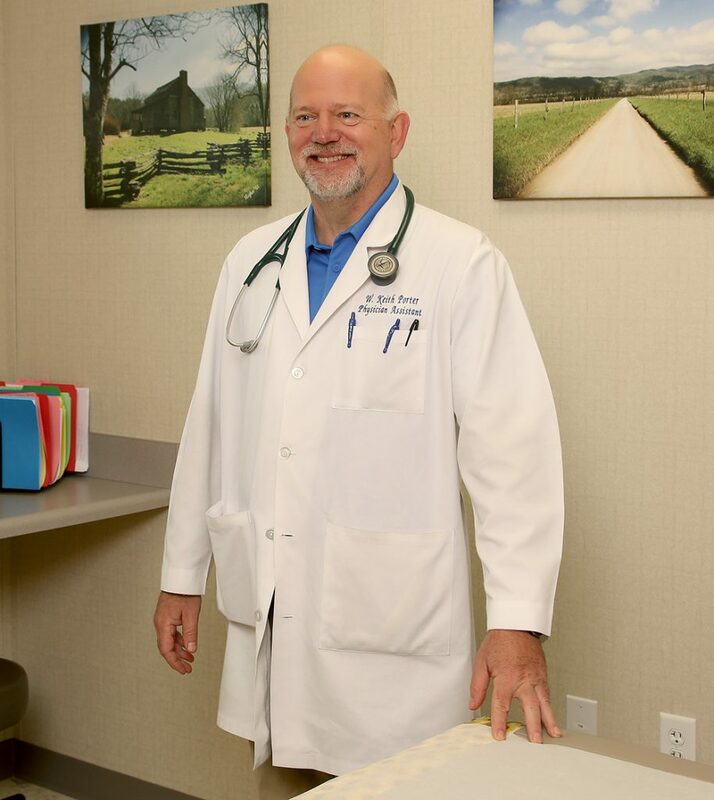 Dr. Johnson has been certified by the FAA as a flight physician and is a clinical professor for the West Virginia School of Osteopathic Medicine. 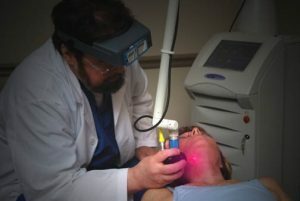 Dr. Johnson serves on the board of directors of the Rosacea Research Institute. He is an active and participating member of the AOA (American Osteopathic Association), as well as TOMA (Tennessee Osteopathic Medical Association). Keith Porter, PA, is a board certified physician’s assistant, practicing since 1998. Keith began his career as a Navy Corpsman where he was highly trained to administer care to soldiers and the military in war as well as peace. He served in the Navy for 25 years. He entered the Navy PA school of medicine, which has one of the most rigorous medical training programs in the country. His additional education includes a Master’s Degree in Family Medicine from The University of Nebraska. He is very experienced in Sports Medicine, Dermatology, Internal Medicine and Pediatrics. His passions include whole body health, encompassing the body, mind and spirit. Keith regularly serves on foreign mission trips as well as volunteering as a sports coach and works with Royal Rangers, mentoring boys into men. We are honored for his service to his country and privileged to have him and his wonderful family living in our community. Tammy Hughes, FNP is our newest Provider, adding a fresh face and sparkling personality to our already talented Provider staff. Tammy is a Board Certified Family Nurse Practitioner. Prior to being certified as a Nurse Practitioner she worked in emergency and critical care. She adds a great deal to our practice, giving men and women the opportunity to complete many of their medical needs in one place. 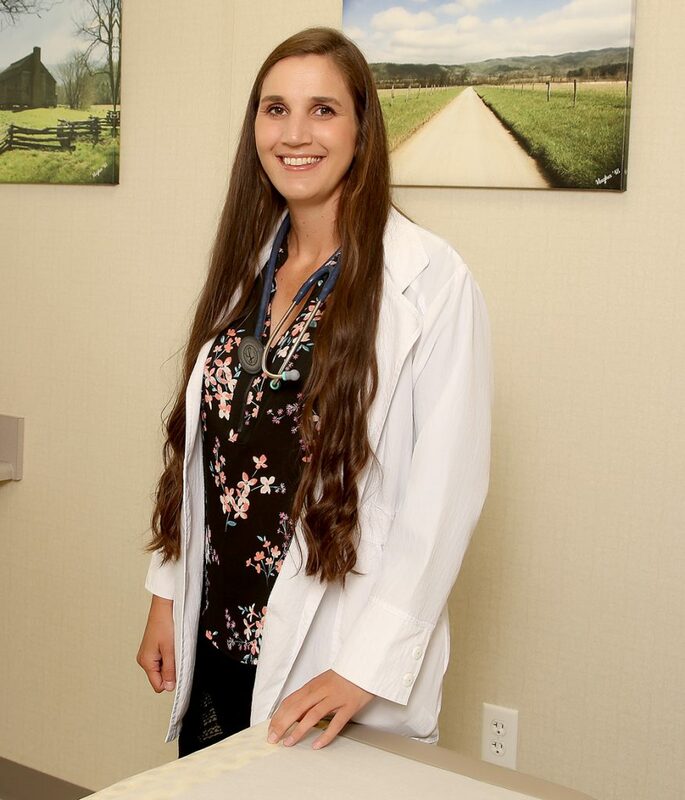 Tammy has established great rapport with her patients while administering excellent patient care. She actively listens and strongly focuses on disease prevention. She strives to emphasize the benefits that healthy choices and an active lifestyle have on optimizing health. She is passionate about empowering her patients and families through health education. This gives the patient the tools to make informed, positive health choices to achieve their healthcare goals. We at Rocky Top Medical Center are fortunate to have her on our team.